The Renaissance and Reformation were exciting times of learning and discovery – they pushed the boundaries of accepted thought. The repercussions of this, however, were that they left in their wake a period of universal uncertainty. The centuries-old status quo had been turned on its head. Nothing was stable anymore. Conflict ensued. 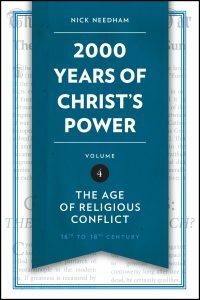 The fourth volume of 2,000 Years of Christ’s Power spans from the 16th to the 18th century. 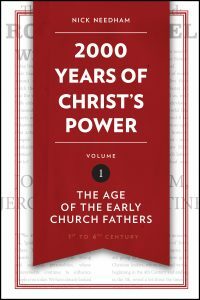 It presents a time from which English Protestantism, Scottish Presbyterianism, and French Catholicism, to name only a few, were birthed and refined. Perhaps few eras have had such a direct impact on the characteristics of our own period of history. For details of how to order, please click here. The Middle Ages were dubbed the ‘Dark Ages’ almost before they had begun to draw to a close. Ever since then, they have continued to be seen as a time of hardship and oppression, full of popes and crusades. In the second volume of 2,000 Years of Christ’s Power, another side of the Middle Ages shines through though: The continual workings of Christ as He built His kingdom through figures such as Thomas a Kempis and John Wycliffe, who lived and struggled during these centuries. This was far from a period of stagnation; rather it was the fire from which the Reformation was kindled. The Renaissance was a reaction against the attitude of the Middle Ages. And the Reformation was the passionate, divisive argument that grew out of it. Catholics, Calvinists, Lutherans, Anabaptists – our present-day divisions were the front-page headlines of the Reformation. 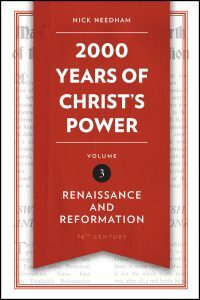 Volume three of 2,000 Years of Christ’s Power, in showing the progression of the Reformation era, and the daring bravery of its figures, presents a period of history from which there are many lessons to be learnt – not least of all, the vibrancy of people’s lives and the courage with which they faced death.